medication to a different drug. Affordable Care Act (Obamacare) in 2017.
and how to challenge adverse coverage decisions. and the raw data may be found here. technologies. 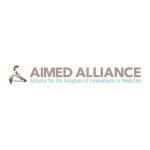 Aimed Alliance’s supporters are disclosed at http://www.aimedalliance.org/collaborators/.